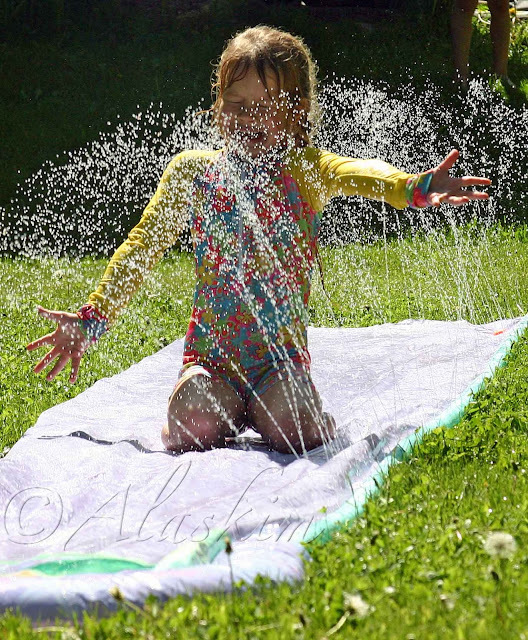 I wonder if my kids would like a slip-n-slide...it might help in the near 100 degree sweltering heat we are having here. Now that looks like a blast. I remember doing that as a kid! Sun, water, and kids! What a fantastic combination. Glad you got to enjoy it while it lasted. After reading your blog for a few years now I am convinced on settling in Alaska for the weather and beautiful scenery. (I also hear the man to woman ratio is 3:1...) Today was a melty and suffocating 99 here in CA...your 73 sounds delightful! Yeah, when we visited Florida, people were wearing sweaters when it was 70 and complaining about the chill. It was in the 90s and humid in Pennsylvania today. 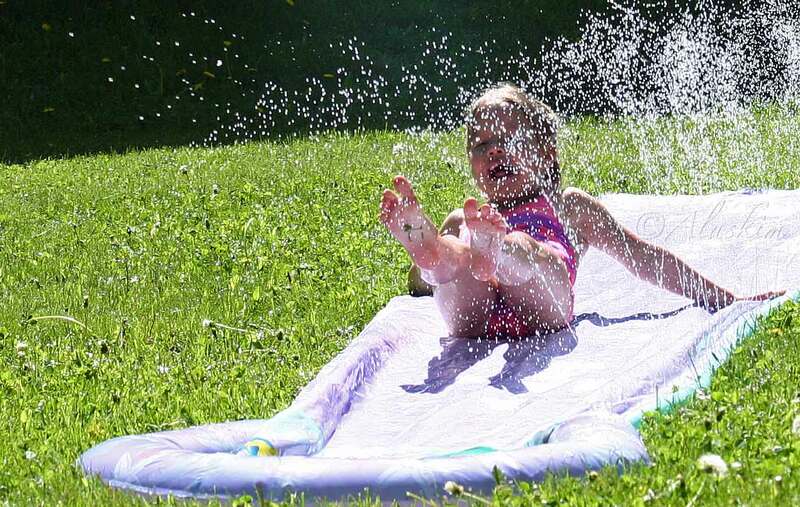 Truth be told, if my kids played outside in water when it was 72, they'd probably all get colds. It's great that you are enjoying the pleasures of summer! 72 sounds good right now! We've had a heat wave over the past three days of about 90F or more, feeling over 100F when you factor in the humidity. I hate running my AC constantly, it's expensive. I'm longing to open my windows up for some cool, fresh air. OUch. That saddens me for you. We are in a heat wave and I am loving it. 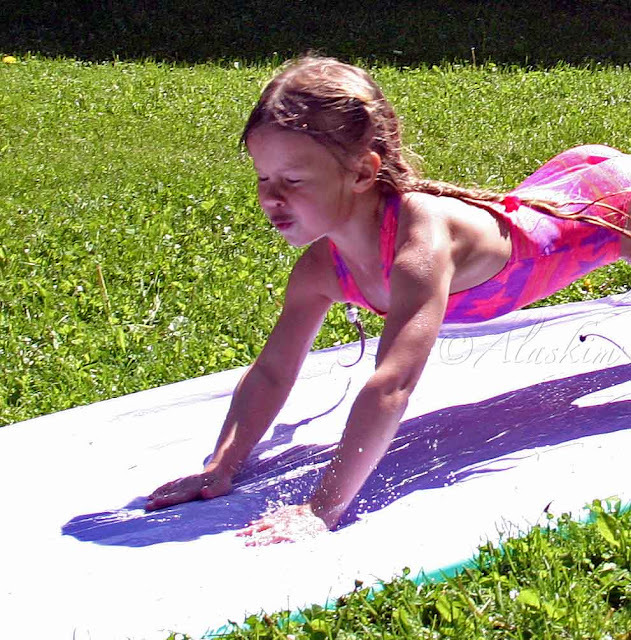 We got a slip n slide this year and it was a BLAST!